Minimal Roots…and a few green branches! 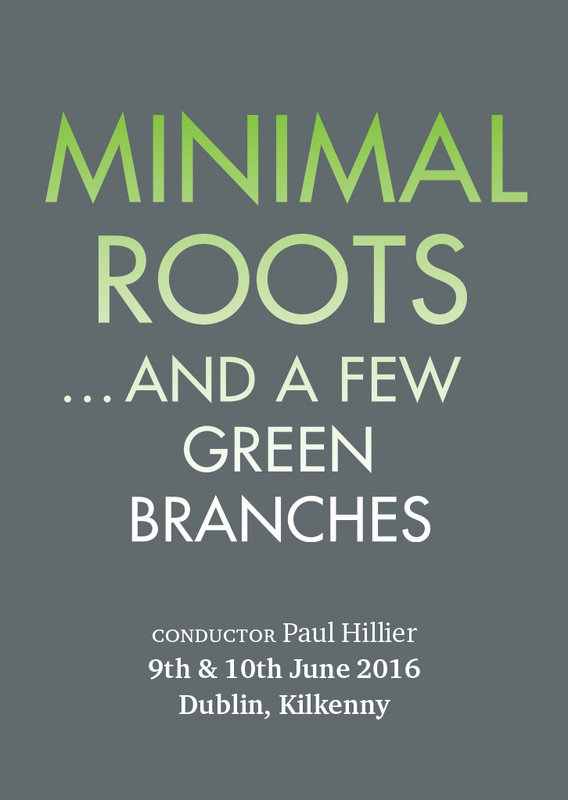 With conductor, Paul Hillier, Chamber Choir Ireland explores the ironically varied world of minimalistic ‘choral’ music. From the earliest experimental forays into spoken choruses from Ernst Toch (translated and extolled by John Cage), through some of minimalism’s founding exponents (Philip Glass, Terry Riley and Steve Reich) and onward to composers influenced by, or exploring features of minimalism (David Lang, Tarik O’Regan)…extending out to a few green branches! This concert features two European premieres – David Lang’s Where you go and Terry Riley’s Madrigal and is bound by a common feature – American composers and composers who have lived there.